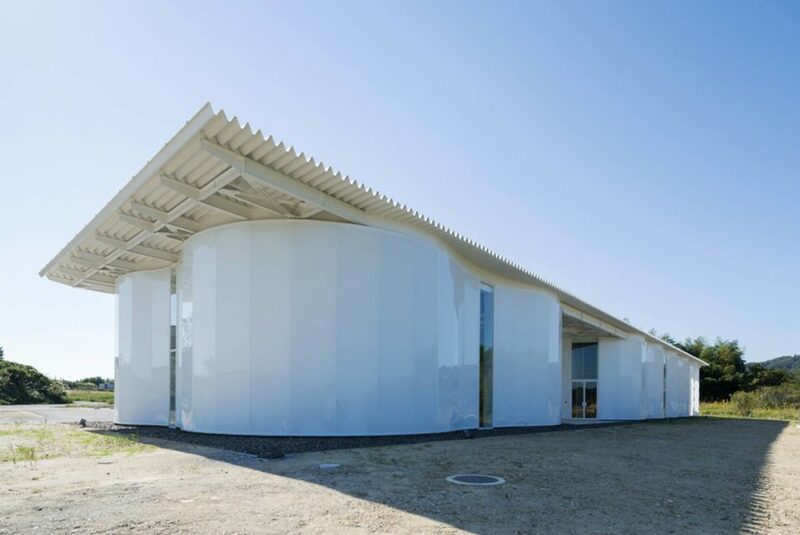 Japanese architect Kengo Kuma is at it again - this time with a new pavilion for furniture manufacturer Sogokagu Design Lab constructed with recyclable plastic. The structure is particularly impressive at night when it glows in multiple colors from within. 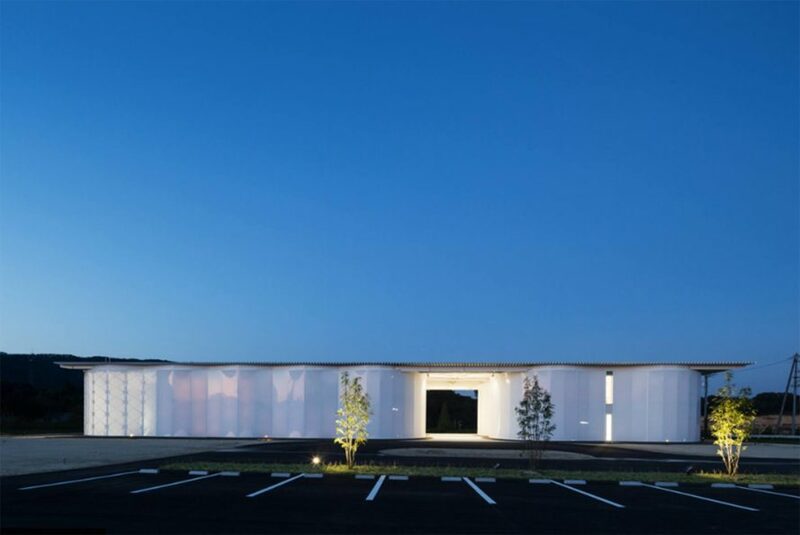 Located in Mie Prefecture Iga, this two-level building shelters a showroom and production facility for furniture manufacturer Sogokagu. A flat, rectangular, corrugated steel roof accentuates its curvy design while letting the rain pour down through its sides. Its white plastic skin pays homage to the brand, which specializes in molded urethane (a type of plastic foam). The shelter was crafted by molding large panels of recyclable ETFE plastic (Ethylene tetrafluoroethylene), a long-lasting material that is highly resistant to corrosion and heat. Although this material is a common choice for roofing, using it for the walls means that plenty of natural daylight can filter inside. And at night, the light comes from the inside and the whole structure glows – in color. The pavilion is located in Mie Prefecture Iga. Its interiors are open plan and filled with daylight. Its white plastic skin pays homage to the furniture brand. It was crafted by molding large panels of recyclable ETFE plastic. Its roof is flat in contrast with its walls. At night, the entire structure glows in multiple colors from within.